Is It Sound Policy To Jail Expectant Mothers For Substance Abuse And Take Away Their Babies? This advertisement appeared in the National Review, the New Republic, the American Prospect, The Nation, Reason Magazine, NewsMax, and The Progressive in the spring of 2006. "Many professional health care and child welfare organizations have banded together against criminalization on the basis that it is antithetical to the best interests of both the mother and the child." ". . . criminalization has no proven effect on improving infant health or deterring substance abuse by pregnant women." "In fact, criminalization may deter the pregnant woman from seeking out necessary prenatal care for fear of losing their children or being arrested." 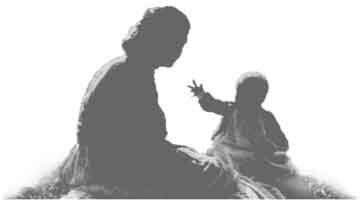 If removal is good policy, shouldn�t we also place infants in foster care if the mother smokes, imbibes or is obese? We could build orphanages as well as prisons! This advertisement appeared in the National Review, the The New Republic, the Weekly Standard, The Nation, Reason Magazine, The Progressive and Mother Jones in September 1999. War on Drugs has failed. cannot solve the public health problem of drug abuse. Provide sufficient funding for after school programs and activity programs to meet the needs of America's youth. Provide sufficient funding to make treatment on request a reality within the next three years. Treatment is the most cost-effective way of reducing drug abuse. Provide sufficient funding to stem the health emergencies of HIV/AIDS and Hepatitis C. These epidemics threaten not only drug users but all Americans. Evaluate current drug enforcement spending to ensure it is effective and provide sufficient funding for alternatives to incarceration for non-violent, low-level drug offenders. Examine the racially disproportionate impact of current drug policy as well as its adverse effects on women, especially poor women and their families. Hold international and domestic drug law enforcement funding at current levels until they prove their effectiveness. Law enforcement has had massive funding increases over the last two decades without any proof of success. Undertake an examination of current drug policies to assess its impact and develop alternatives where necessary.